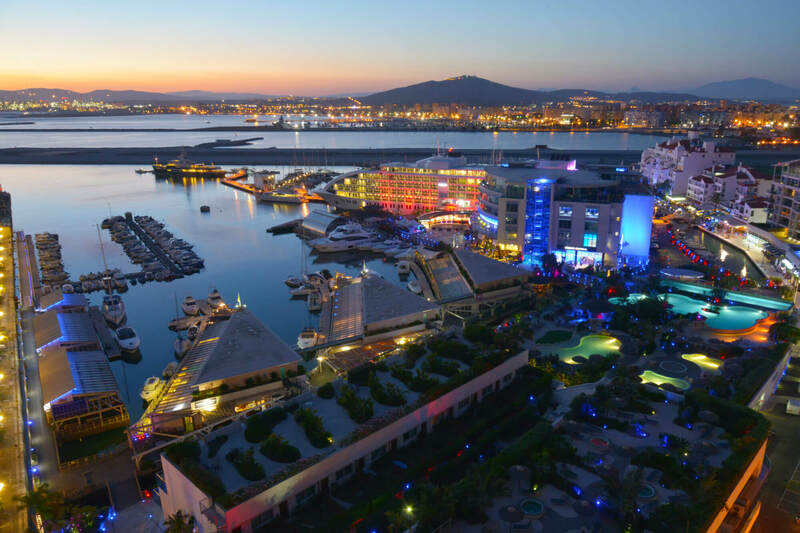 Ocean Village is only an 11 minute walk, or 3 minute car journey from the Spanish border. Simply cross the landing strip after passport control, then take the first left at the roundabout. Continue along Bayside Road past the sports centre. You can then turn right into Marina Bay Car park, or proceed to the next roundabout and turn right, then right again for Ocean Village car park. 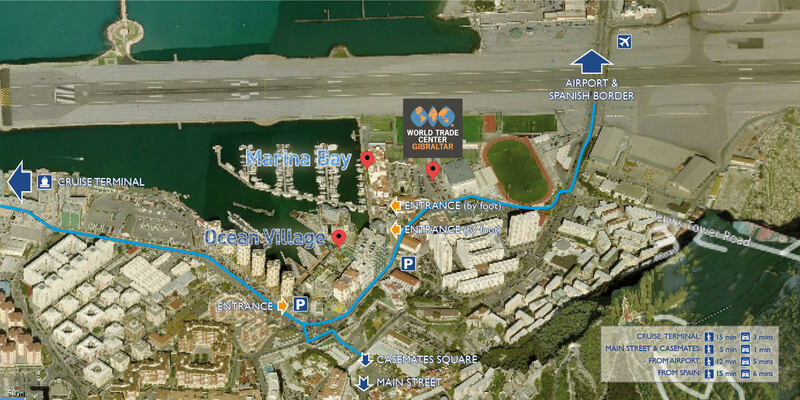 On foot, there are two easy to find entrances to Ocean Village and Marina Bay from Bayside Road.